Both on and off property, we have lots of great activities to choose from and the North Branch team can help you craft the perfect itinerary for your weekend away. On Property - with 7 acres of rolling fields, sunken pools & gardens, there is plenty to do right on property to slow down and disconnect. 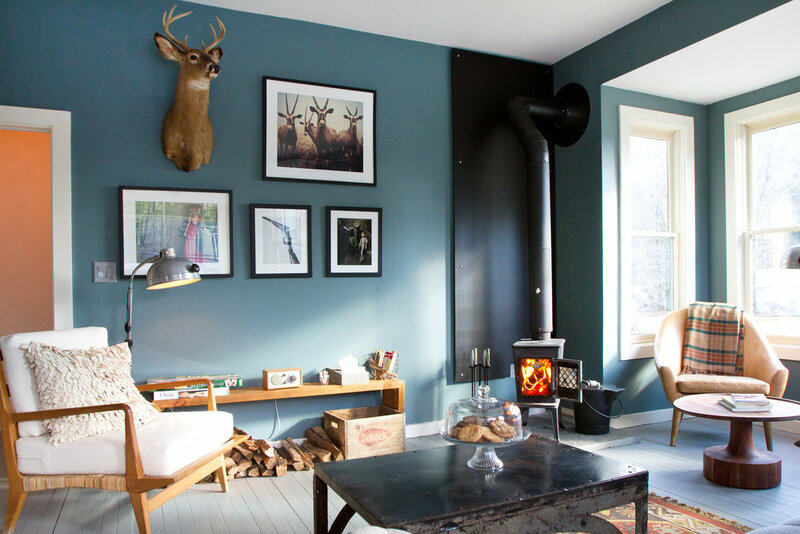 Make yourself at home in any of our cozy common spaces with a good book, fireside. Freshly baked cookies included. 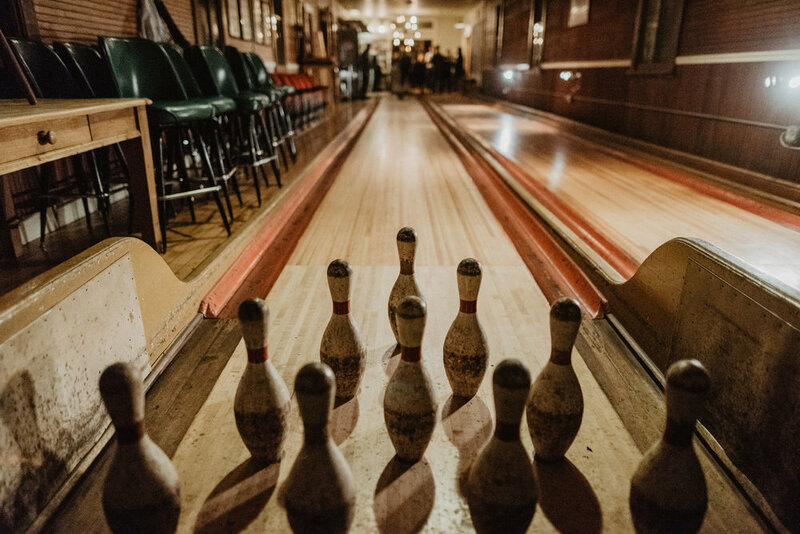 Try your hand at bowling in our two-lane handset wooden bowling alley dating back to the early 1900s. Engage in a little friendly competition with fellow guests and bowl a few frames during your weekend stay, Saturdays between 4:30-5:30pm - a battle of the buildings! Channel your inner DIY-er and join our Director of Gardens for his Saturday workshops year round. In Summer months, join him on Friday evenings at for a garden tour over cocktails in our outdoor pavilion. Sit by one of the streams on property and dip your toes in. Spend some time losing your way amongst our gardens - we have flower gardens, herb gardens and a 100 year old pool that has been transformed into a blue and white sunken garden. Sun yourself – and dose off - in the meadows (grab a blanket on a sunny, winter day!). Wind down the day with some good old fashion s'mores and a bonfire after dinner. A Short Drive Away - just minutes away are farms, breweries, river towns and our sibling properties offering music, events and more. Visit some of the charming surrounding towns with their antique stores and farmers markets. Go the long way and enjoy a drive through winding country roads, streams and the rivers that abound. Go on a brewery and distillery tour. There are 4 of them within 10-15 minutes of the Inn. Hike to the top of a mountain and then climb the fire tower to get above the tree line and see forever. Lisa at Morgan Outdoors is one of our go-to stops to go over your itinerary and hike, get updates on trail conditions and weather, receive some pointers and maybe stock up on some hiking gear or snowshoes! Bring a picnic with you and jump in a nearby lake or river for a dip on a hot summer day. Or just roll up your pants and cool your feet. On a Summer Friday evening, head to the Barn at The Arnold for some great live bands and a roaring bonfire. Hire a guide to learn how to fly fish. Spend the day on the river. Play 18 holes of golf on top of the mountain.